Stacey is a level 3 trained beauty therapist and has worked in the beauty industry for 10 years. She studied hair and beauty at Trafford College and has worked in a local beauty salon and a spa based in a hotel in Manchester. She has trained in different product ranges such as Babor, Dermalogica, Comfort Zone and Espa, where she has learnt a variety of face and body treatments. She is hoping to achieve further training and new experiences while working in Ibiza. 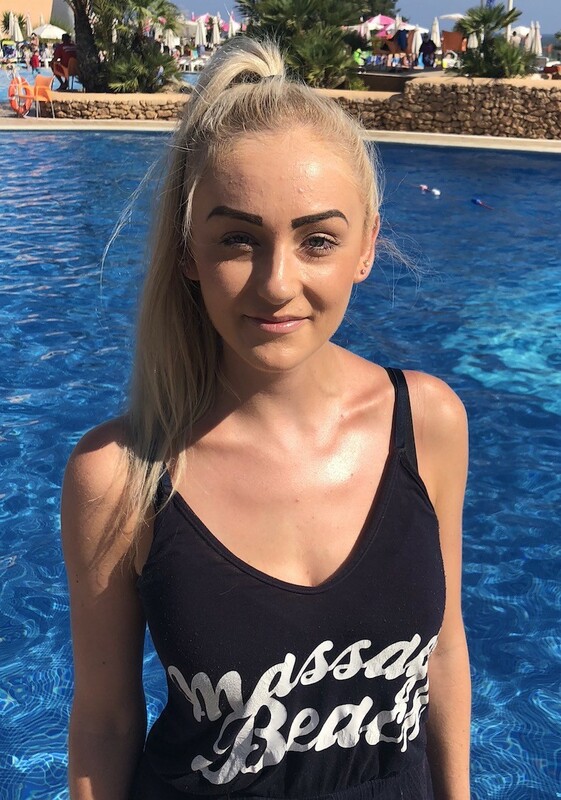 She wanted to join the Massage Beach team as she has always wanted to work abroad, she enjoys meeting new people and learning new skills.